I noticed that the DD3 is not ecc is ok to use non eec ram and how can I tell if the motherboard I might pick up for these chips will accept non-ecc ram. I got a ceiling fan. Its got 10 blades. I got it really really cheap at a flea market. Its an awesome ceiling fan. It will turn my place into a huricane. If you walk under it while your drunk, it will know you over. But I have found that huricane mode is not very practicle. It blows all my mail all over the place. So in reality, I can only use it to its full potential on those hot days where everything is put up and battened down. So its easier just to use my $6000 central air conditioning. No house cleaning needed. And it will NOT outperform everything on every task. Lots of tasks are single threaded. All those tasks it will actually UNDER perform. Thats the problem with this. And it would appear the Pinnacle is one of the underperforming tasks. But it doesn't underperform by very much - no more than the 5960 underperforms higher clocked dual and quad core systems.... It never destroys your house like your ridiculous ceiling fan metaphor - better to compare it to a $5000 receiver.... It probably doesn't do much your $1500 receiver doesn't do.... But now it's on sale for $1200 - do you still buy the $1500 receiver now? Well it all really comes down to money. If its cheap enough, Id take a chance on anything. Including 10 bladed ceiling fans. 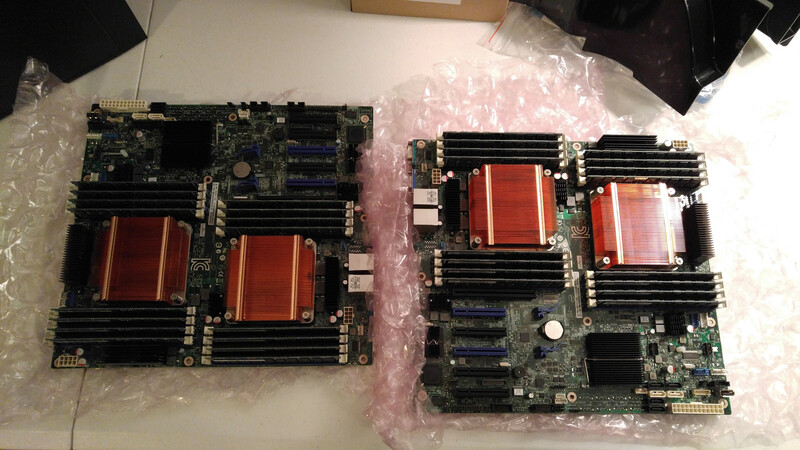 These dual boards have been sold in the past for less than $100. If I can snag one of those and CPU prices drop even more, Id take the plunge and see for myself what I can find to run on this. But Im not going to be subscribing to Premiere. If you dont re-up, your left with nothing. Thats no fun at all. Note the following items are on sold new on eBay and all come from the same supplier in NH. I offered my own bids on each item and they accepted it. My bids are a lot lower than their asking price. If ordered together they don't stack shipping costs which saves money. These parts came in less than 2 days fedex. Yeah but can that sh*t run Pinnacle? LOL sorry I couldn’t help myself. Awesome looking build mate and nice work with those prices. Thanks for the album link as well. Adhmuz, Squid Surprise and cliffordcooley like this. Probably can't but it'll run handbrake though. IaSysAdm, Adhmuz and Steve like this. And price is pretty much the entire point of this article - don't pay north of a thousand dollars for a high end 5960 when you can get very cheap, yet AWESOME, Xeon parts that outperform! So, to respond to your last comment - IT'S CHEAP ENOUGH!!!!! Can a photography workflow based on Adobe Lightroom and Photoshop take advantage of such dual CPU config? Seems like photography software like Lightroom and Photoshop don't take advantage of multiple physical CPUs. In some cases, the performance is even worst. Seems like for a photography workhorse, the X99 and 5820K is the better choice. Yup. And this machine is 2.6 Ghz and cant be overclocked. So if its not using all those CPUs, the prog is running slower compared to an i7-4790k running at 4.4Ghz. 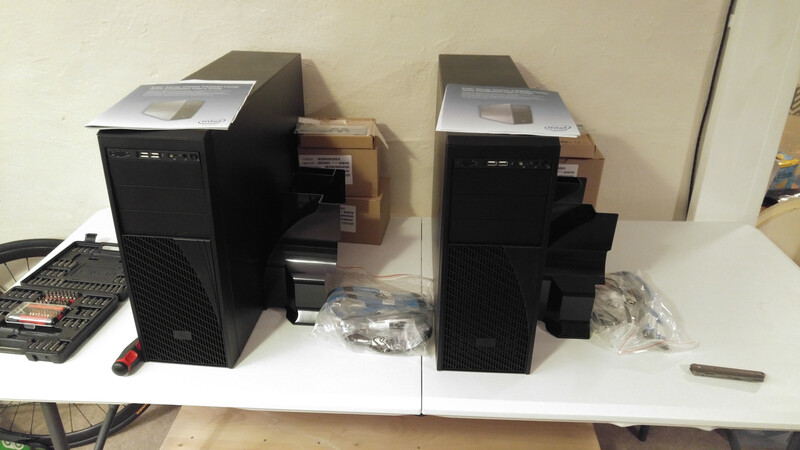 Those are $280 on Ebay, add $150 MB, $120 32gig DDR3 2400 Ram, $50 HS, $60 PS, $50 case, and you have a system almost 2 gigs faster on all those tasks that cant use all those extra cores. And its got more I/O bells and whistles. That 2.6Ghz is a real party spoiler on a system like this. Its a total shame it cant be overclocked more towards the 4Ghz mark. Great article! Now I am living in Europe, hardware prices here are much higher and most of the goods on Ebay comes from Asia or USA. Does anyone have a suggestion of a company similiar to NATEX that operates or send to Europe?? Like many others you seem to have miss the point of the article. I do realize you know everything because you are so well researched and can understand simple facts when they are presented to you, but surprisingly there are a few incorrect facts in that post. When using just four threads the Xeon E5-2670 doesn't operate at 2.6GHz but rather 3.3GHz and that 27% frequency boost does help. Clearly a processor such as the i7-4790K has an advantage in applications that use six threads or less. That said it depends on how you test. For example on the Xeon box you can achieve multiple tasks simultaneously., you could be performing a large backup/compression task while image editing and the system will show zero signs of slow down. Alternatively you could be encoding a video while working on the box art/thumbnail, using the i7-4790K you would have to walk away and get something to eat. Essentially for the most part no one task will tie the entire system up, it is the same reason we run more than 4GB's of memory. Finally where are you buying a Core i7-4790K for $280? Could you provide a link I would like to purchase one. Look at Ebay completed auctions. Some people have snagged them for $250. But $280 seems to be the average at the moment. But its good to know that it ramps to 3.3Ghz. I will have to look that up and see if it just sits there under heavy load. Getting a 4790K at auction compared to hitting buy now button on one of several thousand $70 Xeon’s isn’t exactly the same thing. What do you mean heavy load? That isn’t a heavy load for an 8-core Xeon processor. That said by all means feel free to look it up to see how the Turbo frequencies work. A single E5-2670 will operate 2-core/4-threads at 3.3GHz and with further 2-cores/4-threads at 3.2GHz. Likewise the 4790K isn’t locked at 4.0GHz out of the box, depending on load it will run at up to 4.4GHz. Actually Id just overclock the 4790k from the get go. That way its turbo all the time and its a really easy overclock. I also like the huge memory bandwidth boost of ddr 2400 over ddr 1333. Auctions dont bother me. They are easy to deal with as long as your not trying to set a new low on the winning auction. And I havent bought a dead CPU yet. And you cant deny all the latest bells and whistles like pcie3.0 and ssd interfaces that come with the base price. If your just buying 1 pc, then your stuck with subpar gaming performance while spending similar money. Thats why I say I will keep my eyes peeled for a dual xeon setup even cheaper than whats been posting. Because there are significant sacrifices for having 32 threads. Man you are trying. I didn't say you wouldn't overclock the 4790K, I was trying to explain the Turbo clocks, but that obviously went straight through the keeper. My point was you have to first locate a 4790K auction and then win for $280, alternatively for half the price you can click buy now on an E5-2670 twice. 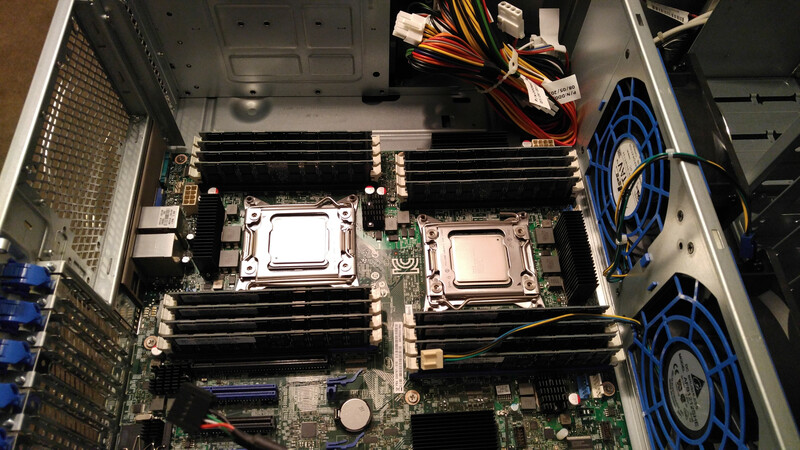 You certainly don't have to buy dual Xeon's if you can't make good use them. I think you are a fool if you deny their value (though at this point it could be well established). 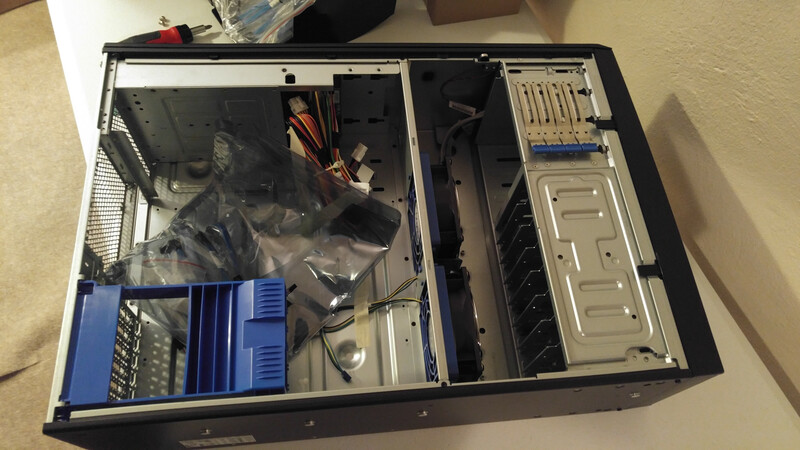 Well the $300 Asrock has pci3.0, but that one in the pics above dont. And whats so hard about locating 4790k auctions? Theres bunches of them right now. Do the average 3 on the weekend Ebay rule and your pretty much guaranteed to snag one of them. Yup, when the price is lower Ill get more excited. What pics? No wait don't answer that it really doesn't matter, the majority of the PCIe lanes are provided by the processor. Hence the E5-2670 offering 40 PCIe 3.0 lanes, considerably more than the 16 lanes of the 4790K. Anyway I am going to leave this conversation now and won't be replying to future posts about this topic, frankly it was pointless to begin with. I feel like I should go back and clean the thread up. There is no useful information for others and instead there is just a heap of misinformation. What’s more all this has come from a dual-core owner who surly has no comprehension of how powerful these systems are and how to be best leverage their performance. Kudos to you Steve, you did try... here's a thought for you... consider someone you know of "average intelligence"... now think about just how dumb you think they are.... now remember that half the world is even dumber!!! Where did you find this motherboard for $280-??? I'm in AU, and even searching USA ebay, I find nothing?? Not the MB, the i7-4790k auctions are $280 on average. You can get a matching MB for this CPU for roughly $150 from Newegg. I always buy boards new, but I get CPUs used. Never had a problem.